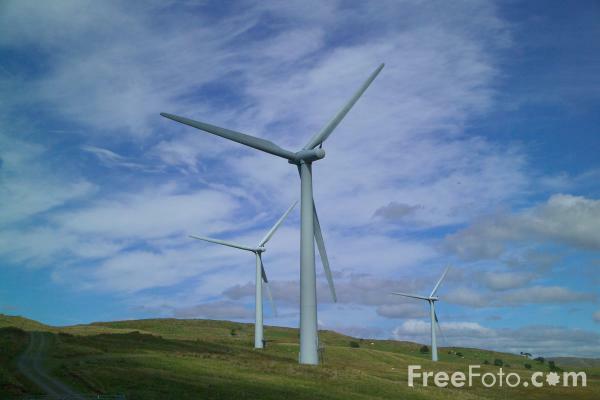 Pictures of the Lambrigg Wind Farm, Cumbria. At 6.5 megawatts (MW) this is the largest wind farm to be constructed in England since 1993. The five turbines generate enough electricity to meet the average needs of around 4,000 homes. VIEW: More images from the category Lambrigg Wind Farm, Cumbria or taken at the same location or around the same time .